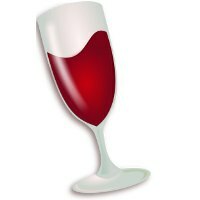 Wine founder and lead developer Alexandre Julliard has laid out the release plans around the upcoming Wine 4.0 stable release for delivering a year's worth of improvements for running Windows games/applications on Linux, BSDs, and macOS. Alexandre Julliard is planning to begin the Wine 4.0 code freeze on 7 December, what would otherwise be their next bi-weekly development snapshot. Following the start of the code freeze, there will be weekly Wine 4.0 release candidates. If all goes well and like past Wine annual releases, Wine 4.0.0 should be ready to ship in January. So now it's onto a last call for any new features desired for Wine 4.0. This year in Wine has been the Vulkan support getting squared away, various changes for improving gaming under Wine, FreeType sub-pixel font rendering, Wine Direct3D defaulting to OpenGL core contexts, better shell auto completion, DXTn texture decompression support, debugging improvements, improved HiDPI support, Direct3D CSMT support by default, HID gamepad support, early work around Direct3D 12 / VKD3D, and tons of application/game specific fixes. Wine 4.0 should be a really great release particularly for gamers and hopefully will be quickly re-based by Valve's Proton for Steam Play before moving onto the Wine post-4.0 development releases. Thanks in large part to Valve / Steam Play, there is a lot more interest in recent months around Wine and Valve's financial support to CodeWeavers is also helping along upstream development.